In its first decision of the year, the Supreme Court of Canada sided with Canadian ex-pats in a case about their voting rights. Chief Justice Wagner held that “citizenship, not residence, defines our political community and underpins the right to vote” (para 35). Frank v Canada had been initiated by two Canadians living in the United States after they were denied the right to vote in the 2011 federal election. Dr. Gill Frank and Mr. Jamie Duong live in the United States for work and educational purposes but maintain close ties to Canada. 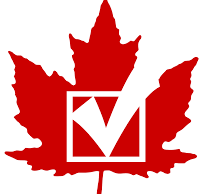 The impugned provisions of the Canada Elections Act held that citizens who had resided outside of Canada for more than five consecutive years were not able to vote in federal elections until they resumed residence in Canada. This provision was recently repealed by the government, and the Supreme Court decision has made the residence limitation on voting rights unconstitutional. The application judge sided with the applicants in 2014, finding that the residence requirement infringes section 3 of the Charter and was not saved under section 1. On appeal to the Court of Appeal, the Attorney General of Canada conceded that the provision breached section 3 but argued that it was a justified infringement for the sake of the Canadian “social contract.” The appeal was allowed. In his reasons Wagner CJ, writing for a 5-2 majority, emphasized that any intrusions on the core democratic right to vote must be reviewed on the basis of a stringent justification standard (para 25). He found that residence is not mentioned in the section 3 guarantee or established as essential to the right to vote in the jurisprudence. “The Charter tethers voting rights to citizenship, and citizenship alone” (para 29). Under the section 1 analysis, Wagner CJ dismissed the Attorney General’s social contract argument as a vague and ill-suited objective to withstand the rigours of a section 1 justification. He quotes the Asper Centre’s factum in laying out the argument’s analytical failings, holding that using the social contract as an objective collapses any distinction between legislative means and ends (para 53). The real downfall of the government’s case was at the minimal impairment stage. The Court held that the limit was over-inclusive and that no correlation had been shown between time lived abroad and subjective commitment to Canada. The Court held that we live in a globalized society and that the ability of citizens living abroad to remain connected to Canada is “unprecedented.” Non-residents, like the applicants, are able to maintain deep “political, familial, financial or cultural” roots in Canada (para 69). The limit was held to undermine, rather than promote, the underlying objective of electoral fairness in Canada. The Court found that our democracy is “manifestly strengthened” by the demonstration of civic commitment of Canadian citizens abroad voting via special ballot (para 75). Denying non-residing citizens the right to vote was understood as coming at the expense of their dignity and self-worth. In a concurring judgement, Rowe J held that the residency requirement is not trivial and is firmly rooted in Canada’s representative democracy model (para 90). While finding that the limit on section 3 was not justified in this case, Rowe J held that the possibility of voting limits based on residence should not be entirely ruled out. In their dissent, Cote and Brown JJ held that the decision is regressive and undoes a long-standing Westminster tradition of privileging local connections in electing local representatives. This entry was posted in Commentary, Supreme Court of Canada and tagged asper centre case, Charter Litigation, Charter Rights, Charter section 3, voting rights. Bookmark the permalink.